Wairarapa director Marilyn Bouzaid and Harlequin Theatre will stage Oh! What a lovely war in April 2015 as part of Wairarapa’s centenary commemoration of World War One. 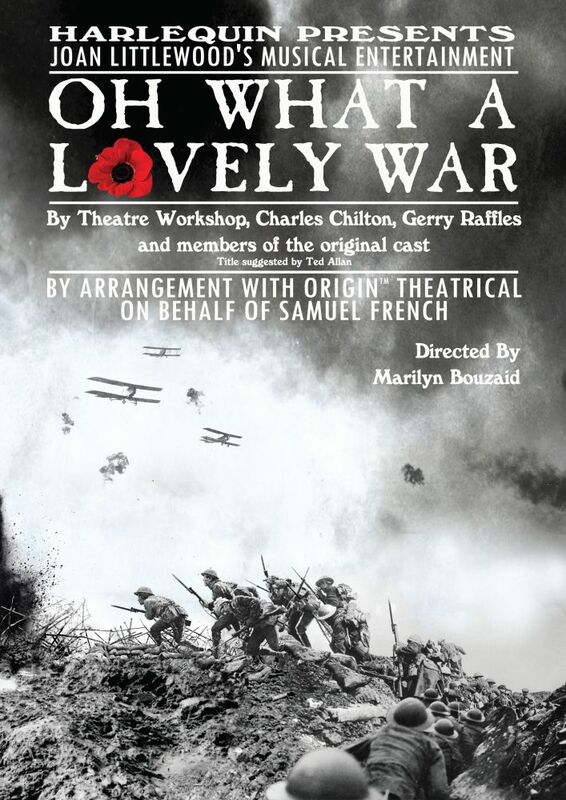 The musical was first produced in 1963, presenting a satirical view of the Great War. It was made into a film in 1969, starring some of Britain’s best-known actors. 20 Wairarapa actors and singers will feature in the show. The Wairarapa season will run at Harlequin Theatre, Masterton, April 9-12, 14-18 nightly, with a matinee on April 12, at Harlequin Theatre, Masterton.